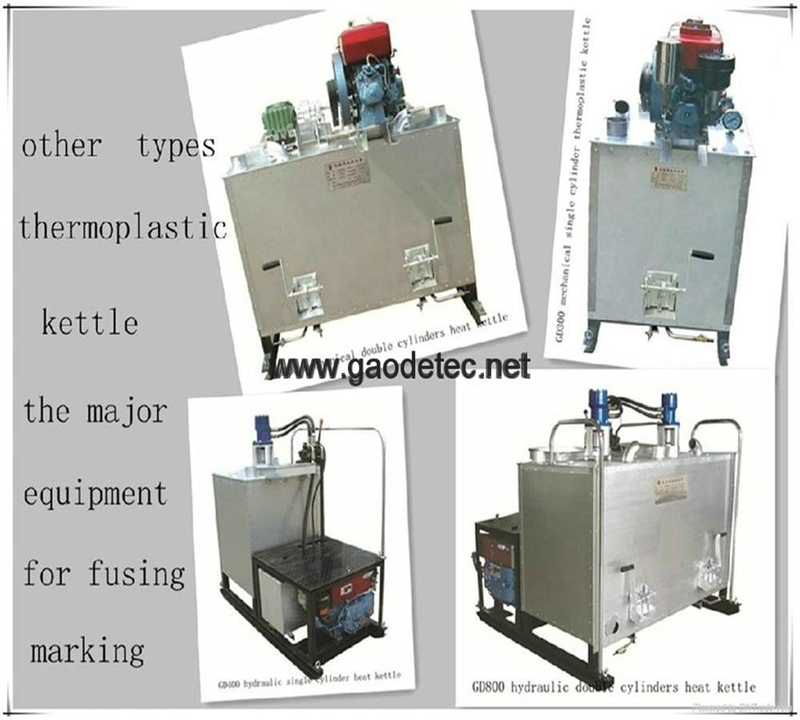 Hydraulic double cylinders thermoplastic hot melt kettle is the major equipment for hot melt spraying construction. 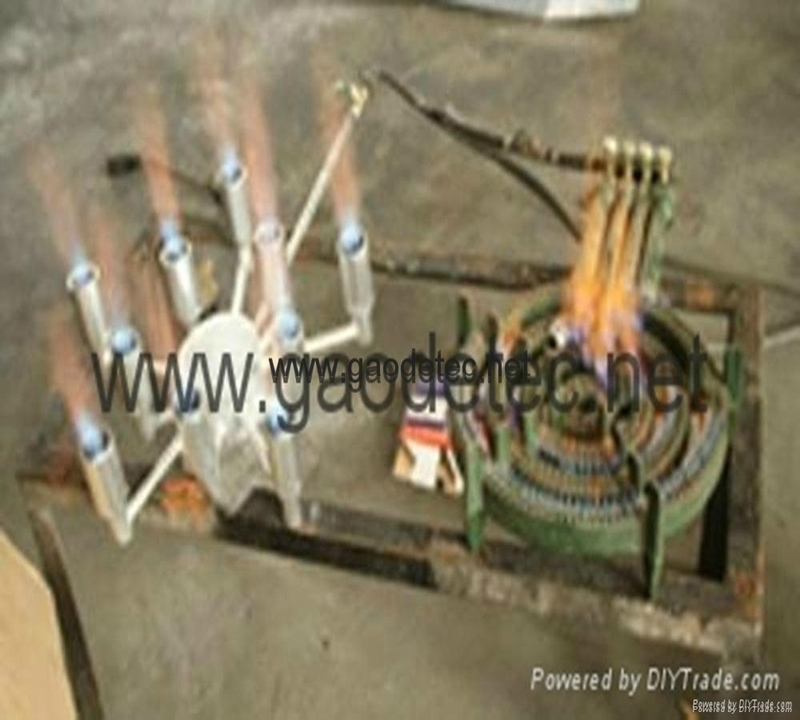 Hydraulic driving system and stepless speed changing with strong torque are adopted. 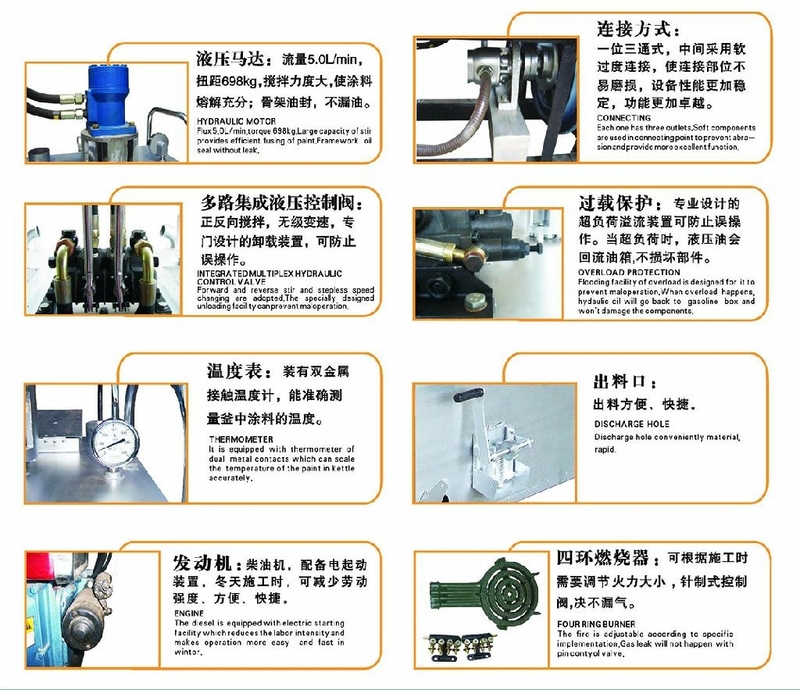 The equipment boots efficient fusing, forward and reverse stir, simple operation and easy maintenance. 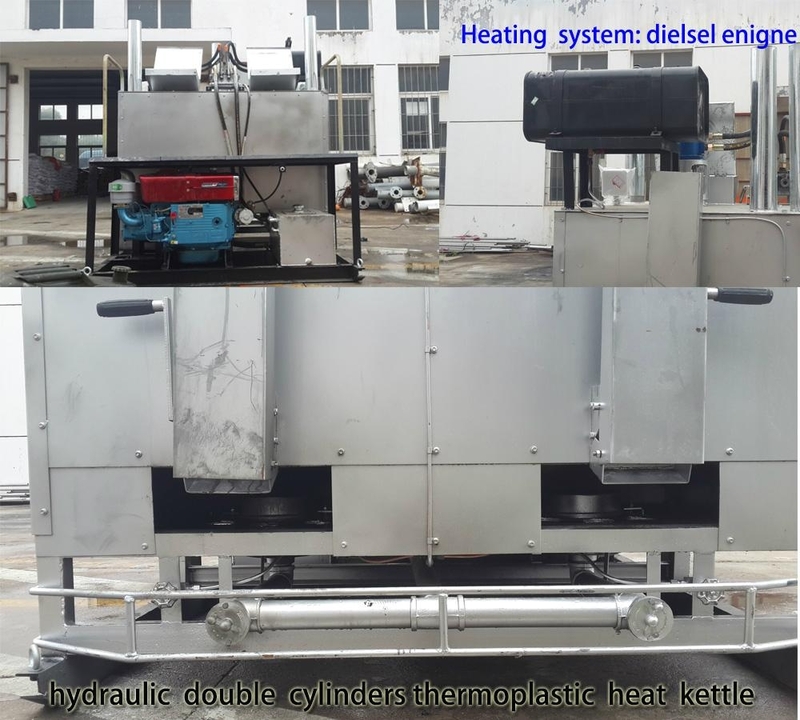 Special design of heating system, stainless steel material, and high carbon steel pot bottom, imported efficient stoves are adopted, it saves energy and time. 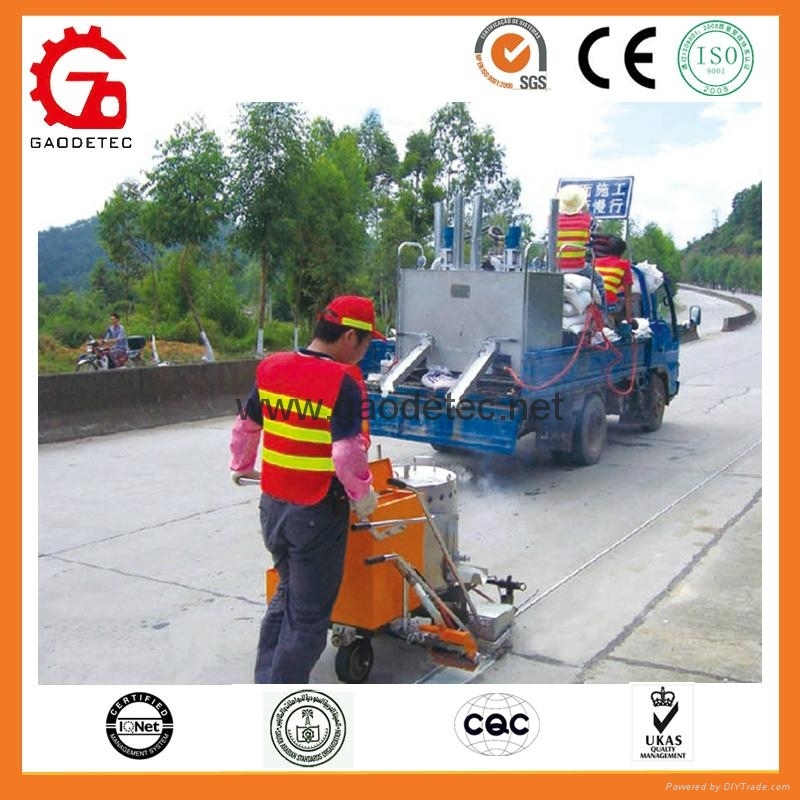 Can be used for highway, larger quantities of municipal roads etc.